We are professional, faithful and creative, and are dedicated to offering our partners comprehensive solutions with diversified and customized products. Food additive – caramel color: widely used in yellow rice wine, cola, tea beverage, seasoning, bakery, confection and other fields. Food flavor enhancers: widely used in instant food, puffed snack food, meat products, frozen food and other fields. Specified catering seasoning: widely used in sauce packet, cooking seasoning, dressing, barbecue sauce and other fields. 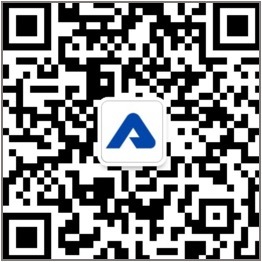 Founded in 1993, AIPU Food Industry Co., Ltd. is a leading manufacturer and Research & Development company in food additive and salty seasonings in China. We provide products and service to customers in more than 80 countries and regions, and keep long-term partnership with numbers of multinational food groups. In the past years, AIPU FOOD received trust from our clients due to high quality products, sound technical support and service. As a globally competitive manufacturer of food additives and ingredients, AIPU FOOD has an excellent reputation in Southeast Asia, Latin America and other regions. In order to keep the promise of ‘providing the clients with stable and high-quality products’ and adapt to the developmental needs of company’s business in future, AIPU FOOD is continuously increasing its scale. AIPU FOOD now operates with an annual capacity of 100,000 tons liquid and 80,000 tons powder products. Booming in domestic and foreign markets, AIPU FOOD is uninterruptedly engaged in technological innovation and industrial update. As an industry pioneer, AIPU FOOD is invited as a major drafter for several China national food safety standards. For example, AIPU FOOD led the formulation of GB 29939-2013 Disodium Succinate and the amendment of GB 1886.64-2015 Caramel Color. We make unremitting endeavor to accelerate the development of Chinese food additive industry. AIPU FOOD promises hereby: Our caramel color, hydrolyzed vegetable protein compound powder/liquid and soy sauce powder are non-GMO. 6) Strict control of shelf life of raw materials. 5) Pest control within the plant area is conducted by professional pest control companies. 6) Regular verification and expert maintenance of software & hardware control system.